Kaleb Wesson has been a defining factor for Ohio State this season: its leading scorer, its leading rebounder, its overall leader. When he is off the court, head coach Chris Holtmann has admitted he has a different team. 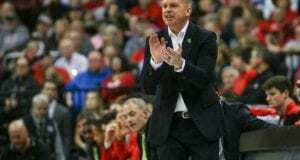 Holtmann had a different team in the first half of Wednesday’s game against Rutgers after Wesson recorded two fouls in the first three minutes. Ohio State was outscored 10-3 in Wesson’s absence, leading to a 16-3 run that helped lead to an 11-point deficit heading into halftime. But even when the defining factor returned in a big way in the second half, scoring 12 of Ohio State’s first 15 second-half points and 16 points overall, his absence in the first half was still felt as No. 16 Ohio State lost to Rutgers 64-61, losing back-to-back games for the first time this season and only the third time in Holtmann’s tenure as Ohio State’s head coach. After Wesson had given Ohio State the 40-38 lead with 15:21 to go in the game, freshman guard Montez Mathis hit a jumper, igniting a 10-0 run for the Scarlet Knights in the second half. 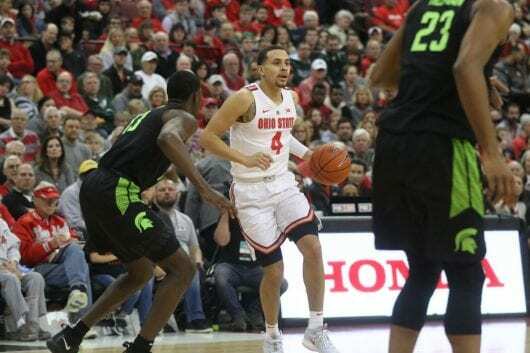 But Ohio State stormed back, as layups by Ohio State freshman and Newark, New Jersey, native Luther Muhammad and senior guard C.J. Jackson helped the Buckeyes to a 7-0 run, ending a 16-3 run to take a 61-58 lead with 2:37 left in the game. But two consecutive layups by Mathis sandwiched between a turnover by junior forward Andre Wesson, one of 13 on the night for the Buckeyes, secured Rutgers’ first conference win of the season and their first win against a ranked opponent since Dec. 16, 2017 against No. 15 Seton Hall. In the second half, the Scarlet Knights shot 46.2 percent from the field while limiting Ohio State to make 11-of-30 shot attempts. 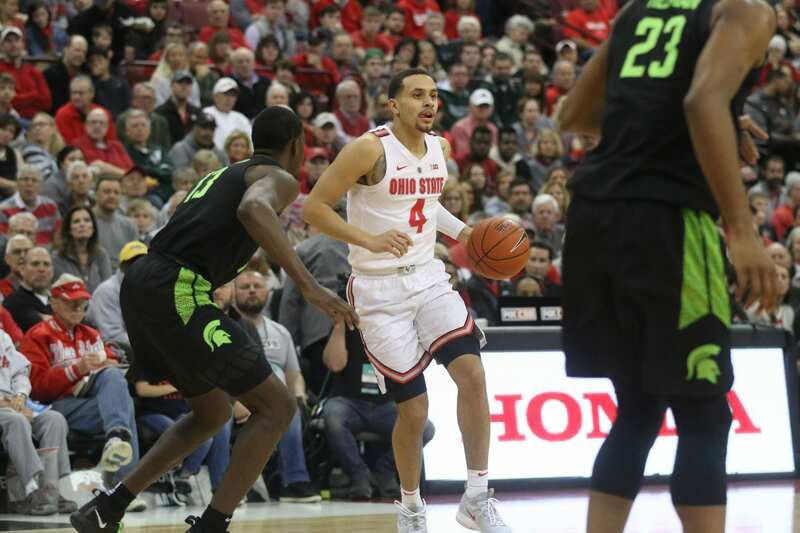 Even with Wesson’s return, Ohio State seemed sluggish as the first half continued, recording nine turnovers and allowing 10 points off turnovers. 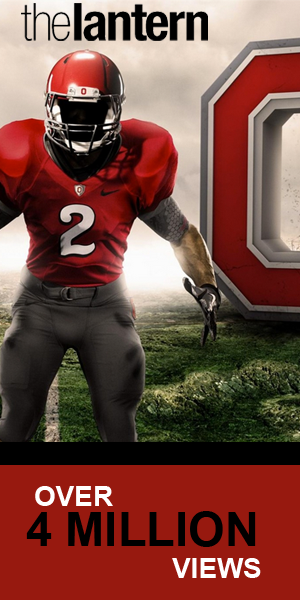 The Buckeyes recorded only five turnovers in Saturday’s loss to Michigan State. 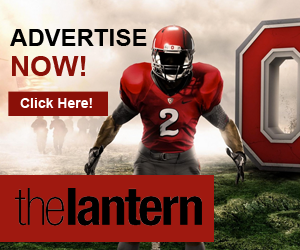 Ohio State allowed 18 points off turnovers in Wednesday’s three-point loss. The Buckeyes also recorded 18 fouls while the Scarlet Knights shot 75 percent from the charity stripe. With the Buckeyes’ inability to create consistent momentum with their carelessness offensively, Rutgers went on a 16-3 run. Despite two 3-point makes by Muhammad, Rutgers took its largest lead of the day, 28-17, after a 7-0 run with 6:02 left in the half. But Rutgers scored only three points for the remainder of the half as Ohio State went on an offensive surge, hitting two 3s and bringing its deficit to 31-30 heading into halftime. After scoring two points in the first half, making only 1-of-4 attempts from the field, Wesson became that leader in the second half that Ohio State is used to, scoring the first 10 points for the Buckeyes. Rutgers junior forward Eugene Omoruyi left the game in the first half after landing awkwardly on his left leg after attempting an offensive rebound. 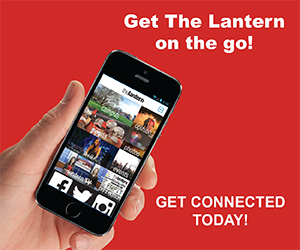 The Scarlet Knights’ leading scorer and rebounder would not return to the game. In his homecoming game, Muhammad scored 13 points, making 5-of-11 from the field with six rebounds and three turnovers. 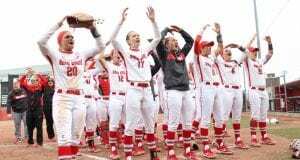 Ohio State will try and return to its winning ways Saturday when the Buckeyes travel to Iowa City for a road game against Iowa at 2:30 p.m.